ParsCo conducts business and has accounts with numerous businesses throughout the Southeast. One of our favorite businesses to work with is located downtown just a few blocks from our corporate headquarters. 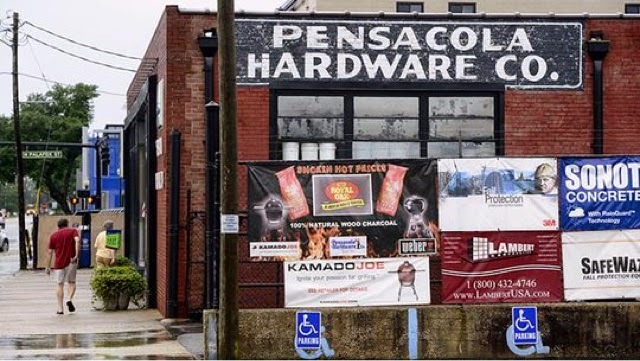 Pensacola Hardware has been in business longer than any other retail establishment in the entire country. It is because of their tremendous customer service, competitive pricing, and knowledge of the products that we continue to do so much business with them. These values are very similar to ours and we appreciate their excellence. ParsCo prides itself in putting the customer first, being competitive and looking out for our clients budget interests, and always making sure we meet their expectations by providing a high quality project in a reasonable timeframe.